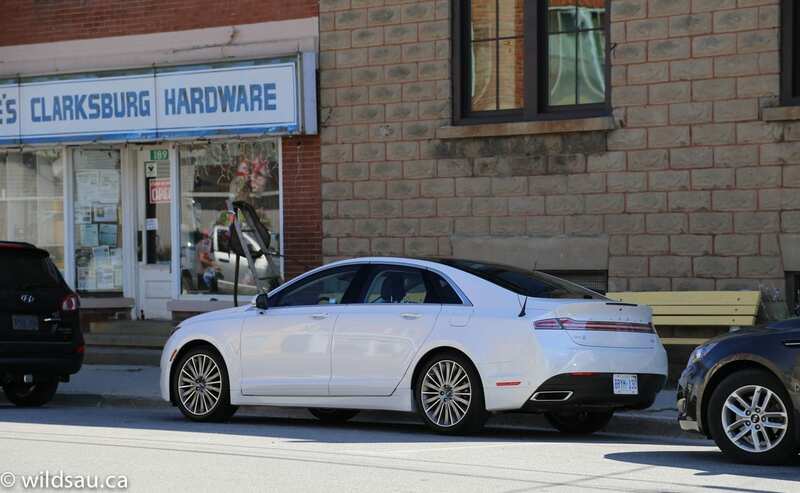 Earlier this week, I got on a plane and flew to Toronto to attend the Drive Event for the all-new 2013 Lincoln MKZ Hybrid. Once I arrived, I was shuttled a couple of hours out of town in the quiet luxury of a Ford Expedition Max. They aren’t kidding – that thing is “Max”. It’s insanely comfortable to be chaffeured in, though, and before long, we arrived at our destination – Blue Mountain, Ontario. I’ve also seen it called Blue Mountains. But let’s be honest. I’m from Alberta, and there’s only one mountain, and frankly, it’s more of an adorable little foothill by our standards. So we’ll go with Blue Mountain. Some say size doesn’t matter, so aside from that, the Blue Mountain region is beautiful. It’s essentially near a lovely town called Collingwood, which snuggles up to southern shores of Georgian Bay, which is a lovely tumor-like protruberance from Lake Huron’s eastern side. Make sense? If that’s too much to follow, it’s a couple of hours north of Toronto. 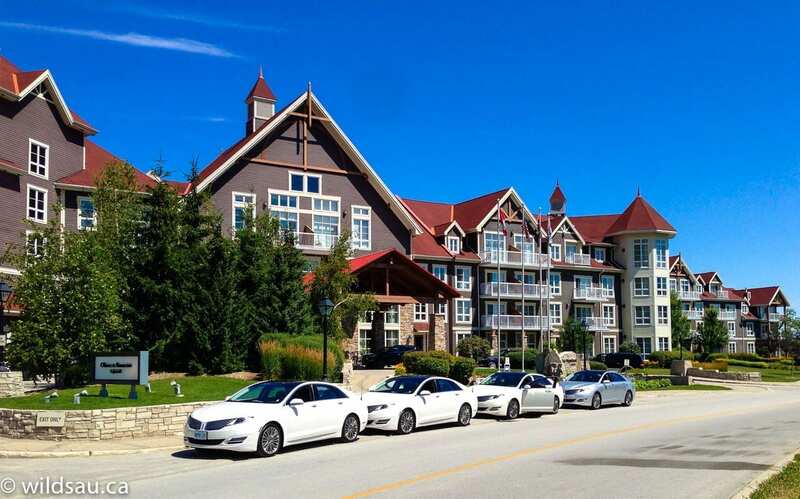 We pulled up to our accommodations at the grand Westin Trillium House, a wonderful chalet style resort nestled at the foot of the “mountain”. Some flights had been delayed, so I arrived later than most of my fellow attendees who were enjoying some appetizers and drinks. We were led to the famous Oliver & Bonacini Café Grill, and were fed delight after gastronomic delight. I highly recommend the resort and the dining experience. It’s worth the trip. In the morning, after a delish breakfast, Ford Canada’s Christine Hollander introduced us to Yammie Wu from the Lincoln Motor Company. Why, that sounds like something I’ve heard before, you exclaim. 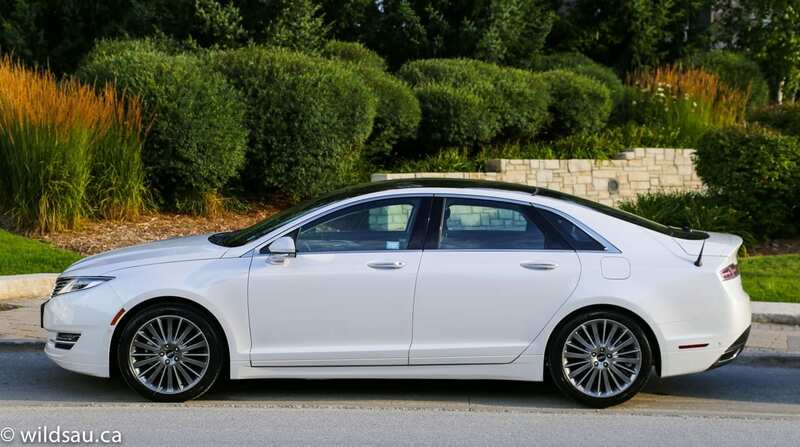 You’re right – part of Lincoln’s attempt at reinventing its own brand is taking part of the company back to some of its roots, and that starts with its original name. So yes, they are now the Lincoln Motor Company. Again. We heard more about the brand’s reinvention as well. Their new way of looking at things? “Not trying to be all things to everyone, but everything to a certain few.” A lofty goal, Lincoln Motor Company, but a noble one, to be sure. Yammie touched on the points of what Lincoln considers its DNA, including things like stunning design and a charismatic drive. And I learned more about who Lincoln is targeting. It’s a demographic called the Cultural Progressive – someone who wants quality, reliability, appreciates tailored customer service and values one-on-one attention. 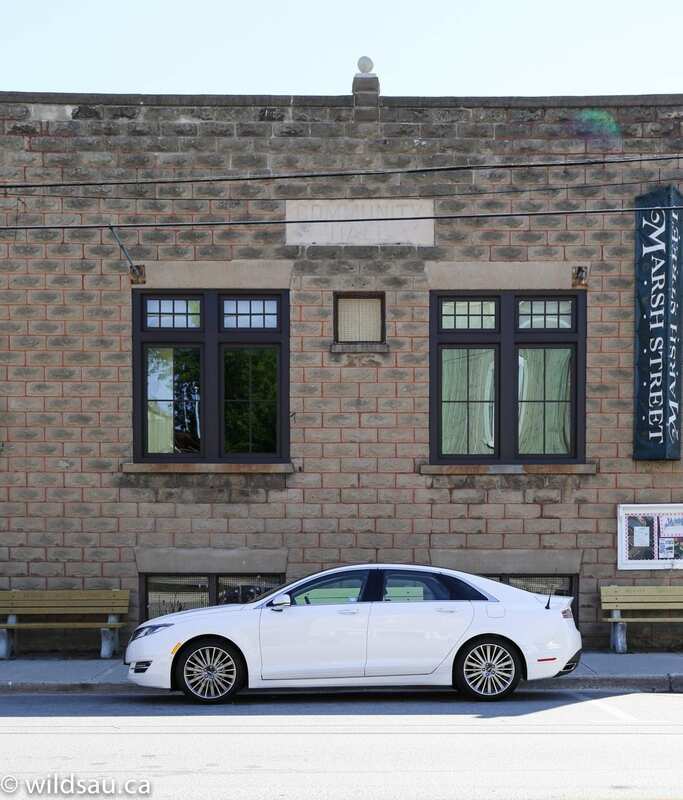 And finally, we found out that Lincoln has its own all-new design studio. That’s something they haven’t had in many years. 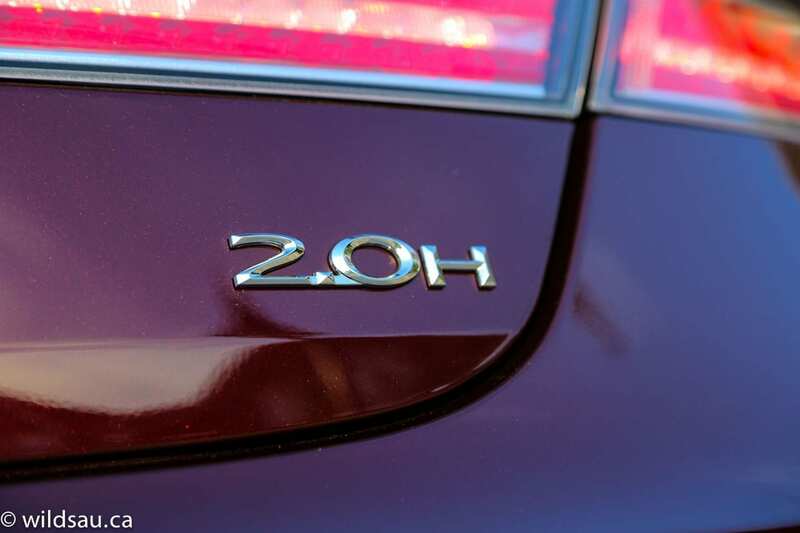 All this could be seen as starting with the new MKZ, which we were here to drive. Why is that? Because it’s the first vehicle to emerge from the new design studio in New York. 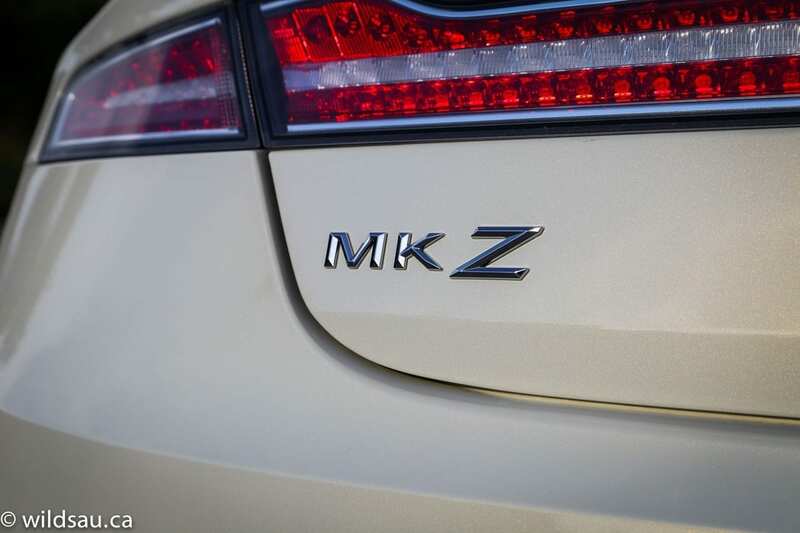 The MKZ is a pretty sleek automobile. It’s modern, and though it’s understated, I found it to be quite handsome in way that makes an impression without completely standing out of the crowd. Up front you’ll find Lincoln’s split-wing grille, a signature item harking back to the iconic 1938 Zephyr, which has been more polarizing than I thought it would be. 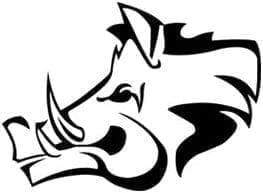 Personally, I find it a stylish touch and have enjoyed it on most of their current vehicles. The exterior isn’t adorned with too much chrome, which keeps things classy. Things have been thoroughly modernized with a full complement of exterior LED lighting. 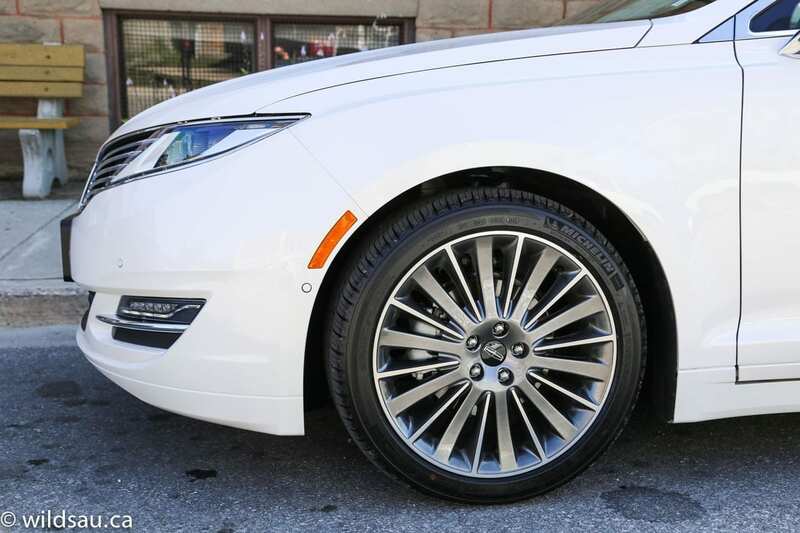 And the wheels garnered a lot of compliments – they look great. I liked that the flowing lines of the exterior styling were brought into the interior as well. The consistency is immediately noticeable. There are nice materials inside, with soft-touch plastics making up most of the surfaces. The wood in the cabin? It’s real. So is the leather. And the “floating bridge” console is a cool looking arc from the side and actually allows for some useful storage underneath as well. I thought the fit and finish was very good, and the vehicle felt rock solid on the road. I found the front seats to be extremely comfortable – and we were given an insight into how much effort and design work went into making them so. 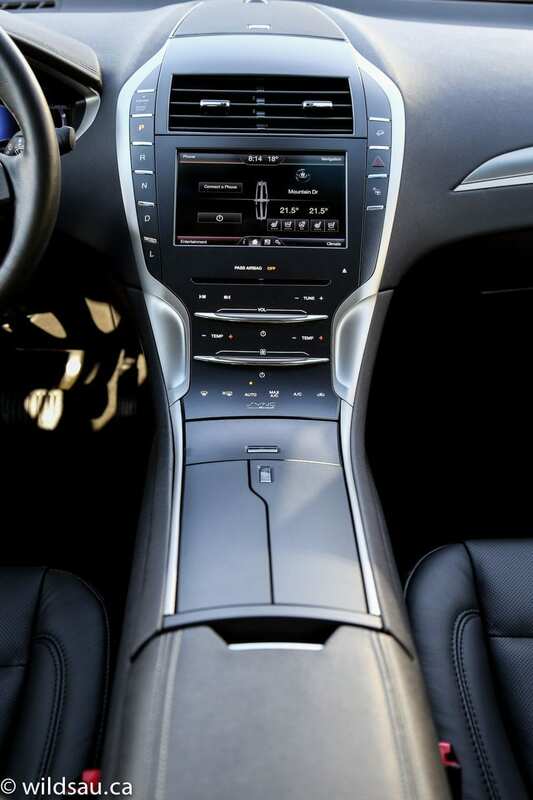 The dash and console are essentially devoid of any hard buttons or knobs – virtually everything is done with soft-touch buttons or touch-strips, and links through MyLincoln Touch. It’s a very capable system, but I found myself wishing for a few knobs and buttons. There’s essentially no way you can use what’s on the console without taking your eyes off the road – and that doesn’t work for everyone. Yes, you can use voice recognition or the steering wheel buttons, but sometimes I just want to do things the old way. Also, I think that Ford and Lincoln do pack a few too many things into their Touch systems. 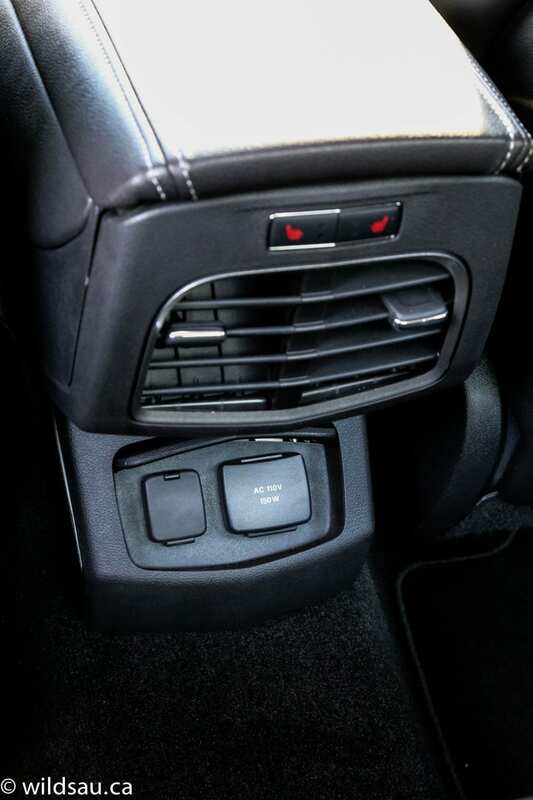 For example, if I want to turn on my seat heater/cooler, I’d prefer to touch a button or knob. In this case, you need to go through the touchscreen and find the right area, and then tap the screen to achieve that. I’d rather some of the key functions weren’t hidden a few screens deep. I’ll get back to this nitpick in a moment. 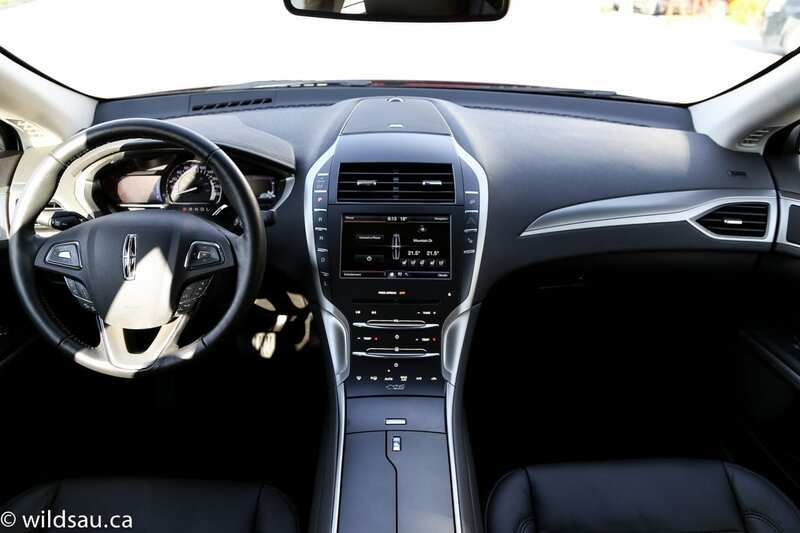 Looking for the gear selector to put your Lincoln MKZ into Drive? Good luck. The good old lever has been replaced by a push-button system, located on the left edge of the center stack. The drive was pretty pleasant. We were in the hybrid, which pairs a 2.0-litre inline 4-cylinder with an electric motor and puts out a net 188 horsepower. It’s mated to a continuously-variable transmission (CVT) and powers the front wheels. You can also get a 2.0-litre EcoBoost engine, or the top-line 3.7-litre V6 – this trim offers an available all-wheel drive as well. Both of the gas engine models are mated to 6-speed automatic transmissions. The hybrid has enough jam to move you off the line, and the CVT does a fine job at accessing the power when you need it. I didn’t find any of the rubber banding feel that plagued the CVTs of yesteryear (including some that remain on the market today). And boy, was it quiet. 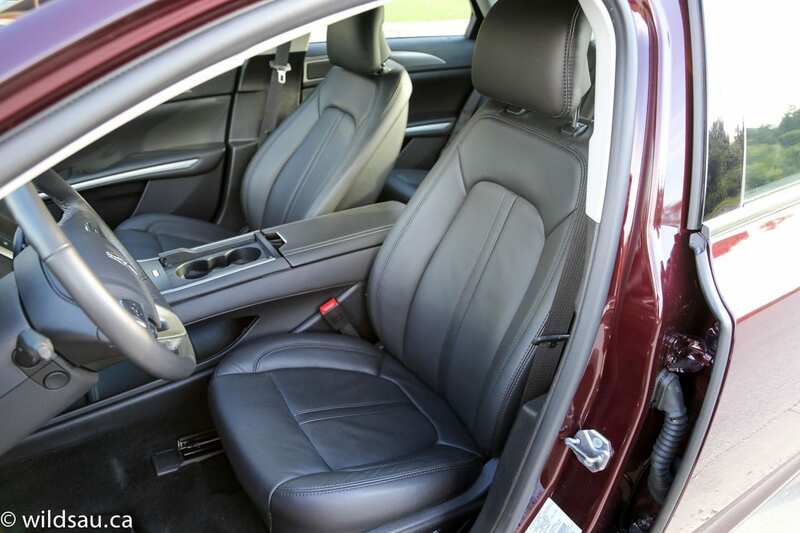 When you hammer on it, you’ll hear the gas engine, but during everyday driving, the MKZ was nearly silent. 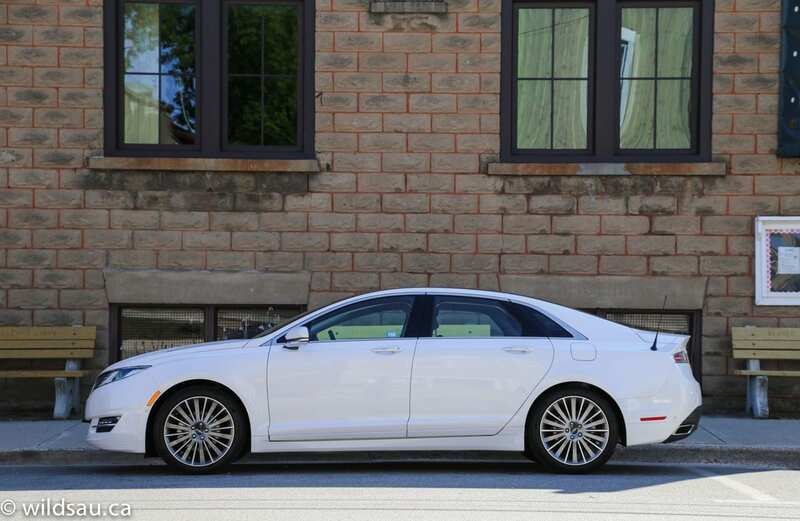 Lincoln has continuously-controlled damping, which is their take on a variable suspension system. It has three settings – Normal, Sport and Comfort. It reads the road, the driving conditions and your inputs and readjusts 500 times per second. That’s probably enough. Bottom line? It’s quite effective. I drove in the Sport mode most of the time, and while it soaked up the bumps very nicely, it allowed me to take curves at highway speeds and felt very stable and planted. I was impressed with how composed it was. I dropped it into comfort mode, and it instantly loosened things up. Unfortunately, you need to sift through the vehicle settings in one of the two driver information screens flanking the speedometer to change the damping mode. Another example of something I’d prefer to have at my fingertips with a button, instead of having to get through a number of screens to find it. I like how EV (Electric Vehicle) mode is becoming more and more capable in modern hybrids. 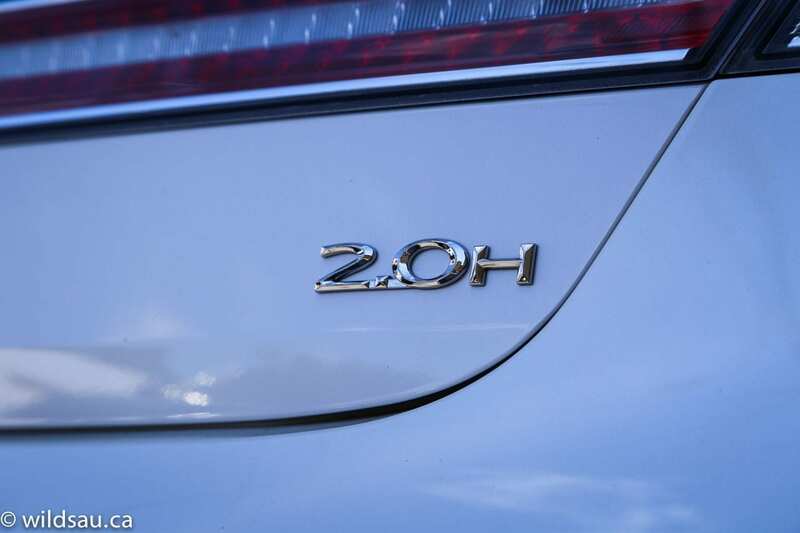 The MKZ’s EV mode will work up to 100 km/h. That’s awesome! There’s a ton of driver assistance technology here. 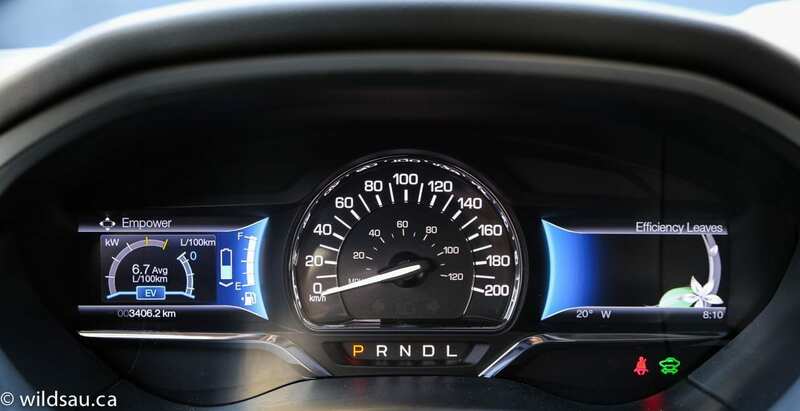 You’ll find Lane Keeping and Driver Alert systems, adaptive cruise control, forward and cross-traffic collision alerts, blind-spot monitoring and of course Ford’s flawless Park Assist. 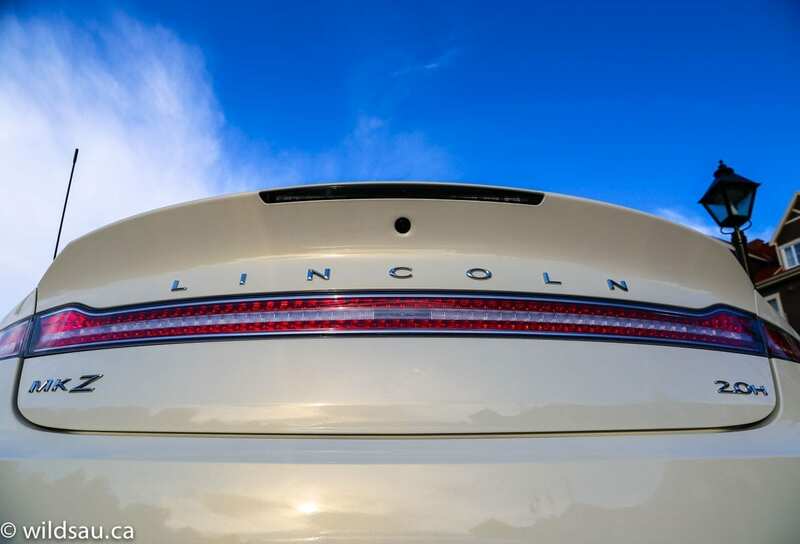 Lincoln also makes a big deal about the enormous panoramic roof in the MKZ. At first glance, it’s magnificent. And when it’s closed, it is absolutely lovely. 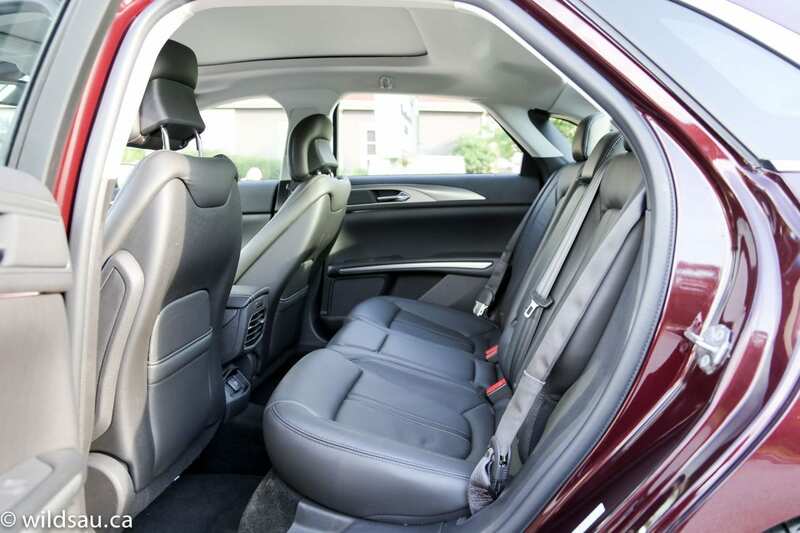 It gives an airy feel to the cabin, both front and back. The issue is when it opens. It is a gargantuan pane of thin glass, and pops up and slides back. We found two issues. First, there was significant wind noise and buffeting at certain speeds – however, another journalist said he didn’t experience that at all. Your mileage may vary. Regardless of that, when the roof is opened, the back edge of it slides down toward the trunk, following the contour of the car. Can you see the problem? Yep, the rear edge of the glass completely dissects your rear view. It cuts the rear visibility in half and I found myself not liking that at all. But when it’s closed, it’s a really cool part of the car. Of course, with most hybrids, the whole point is efficiency. 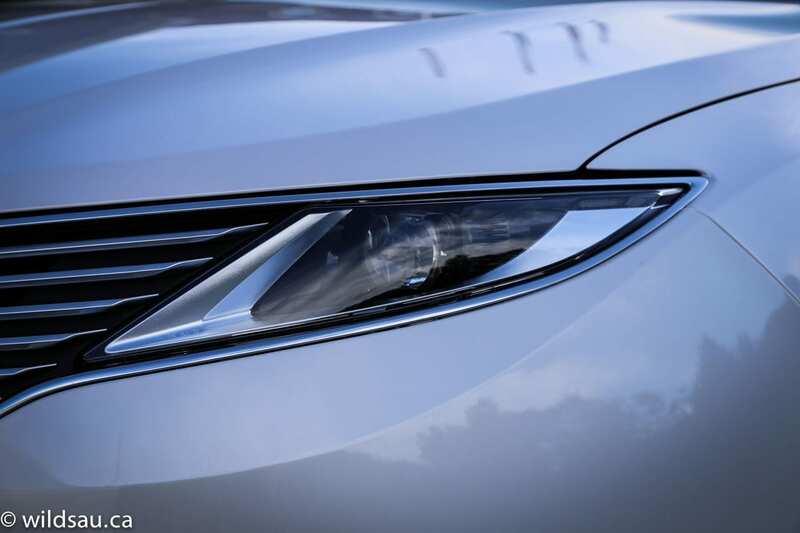 And here the MKZ shines. It is rated at 4.2 L/100 km (56 mpg) in the city and 4.3 L/100 km (55 mpg) on the highway. We had a fuel economy challenge, so we drove it with a pretty light foot, but weren’t completely babying it. And we averaged 5.2 L/100 km (45 mpg) – which is fantastic for a car this size. Another journalist ended up with an average of 4.9 L/100 km (48 mpg). Impressive. The tank holds 53 litres, which gives you a theoretical range of FOREVER! I found the trunk to be a tad on the small side at 314 litres – not a surprise though, since most hybrids compromise in that area to make room for the battery. 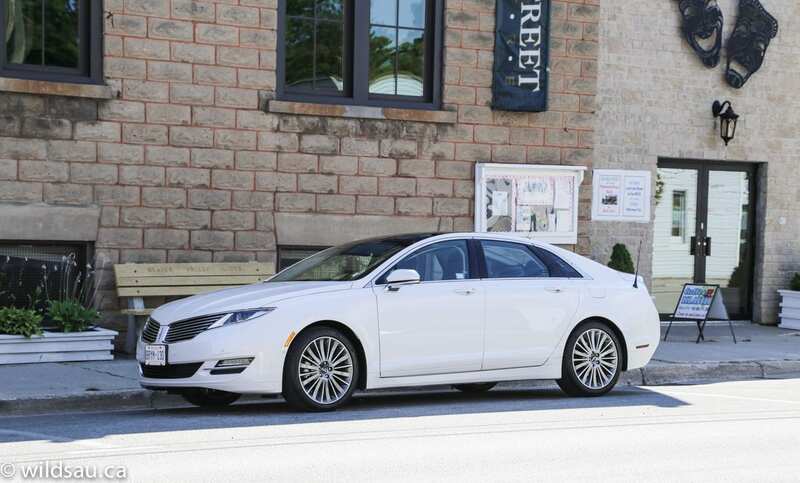 The MKZ is the first offspring of the newly reinvented Lincoln Motor Company. Some of their other models are definitely aging rapidly, and the company needs a solid boost these days. If this is a sign of things to come, there’s plenty of hope. I liked the car, and I look forward to seeing what else comes out of that snazzy new New York City design studio. 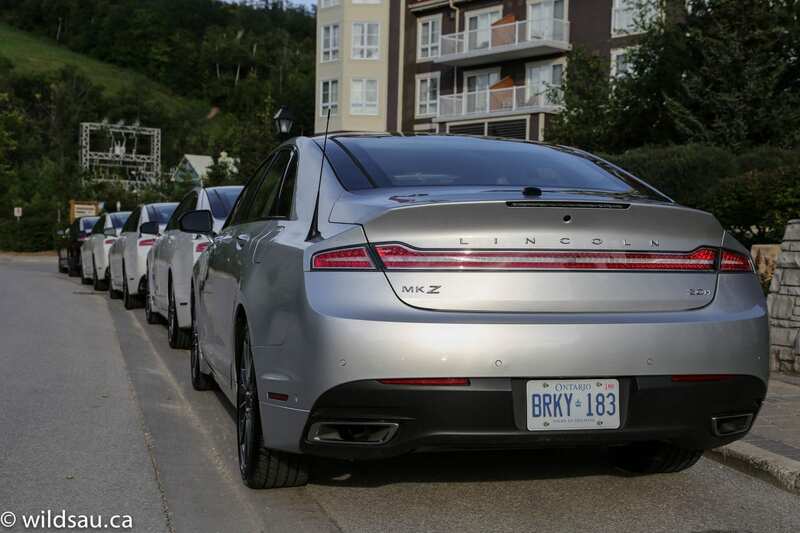 All photos were taken by the writer during the MKZ Drive Event in the Blue Mountain, Ontario area.